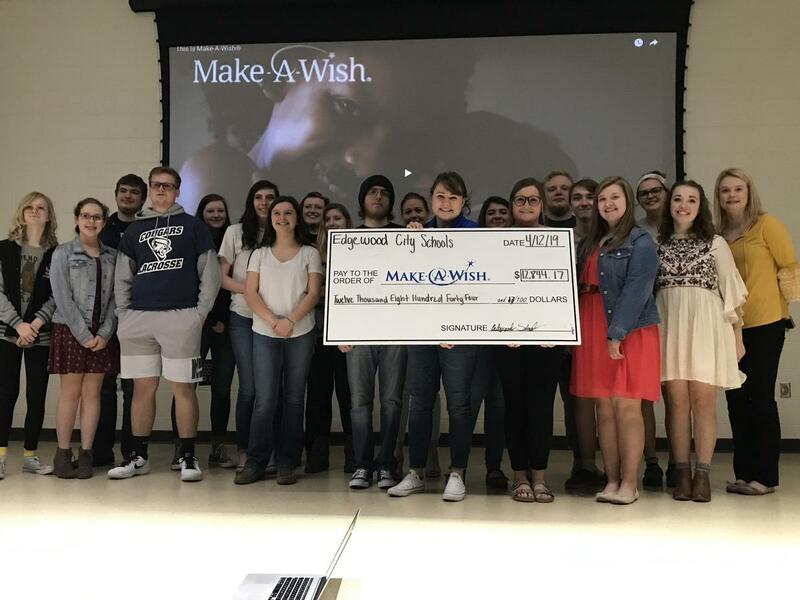 Edgewood High School presented a $12,844.17 check to the Make-A-Wish Ohio, Kentucky and Indiana Foundation on Friday, April 12! 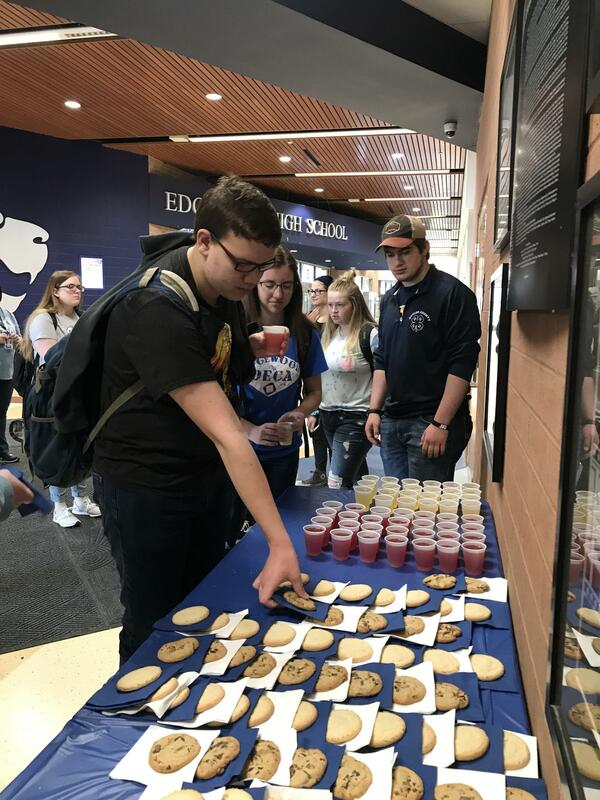 This amount was raised through fundraising efforts sponsored by more than 10 EHS student organizations & clubs. Mrs. Panno, Mrs. Beiser & Mrs. Anderson served as advisors for this amazing effort. 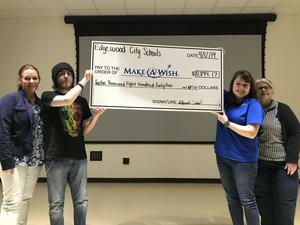 Rebecca Bishop, from Make-A-Wish, accepted the check. 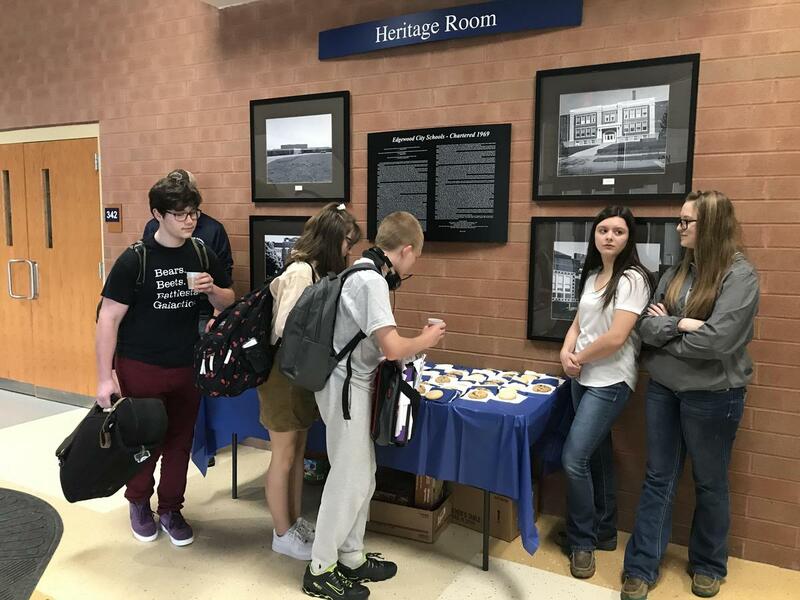 Everyone was astonished when she told the students this was the largest amount EVER RAISED by an Ohio school district for Make-A-Wish! 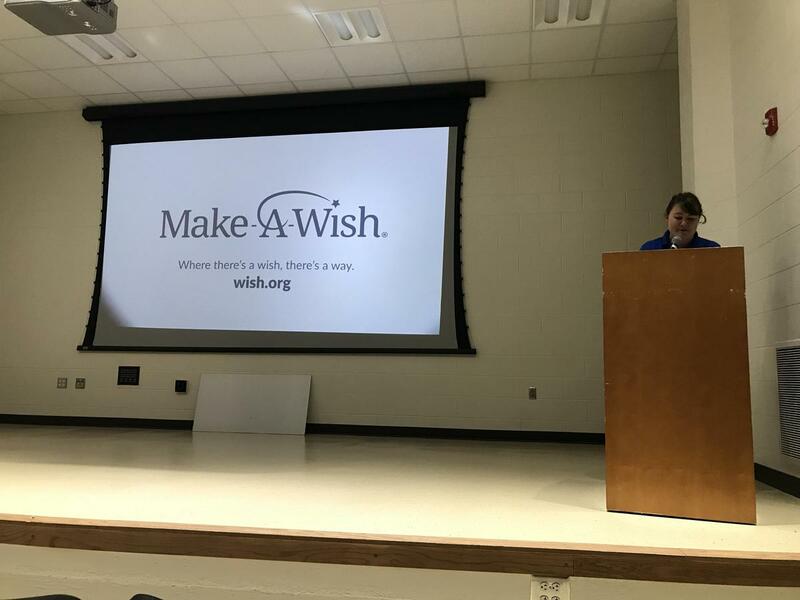 Tanner Young, an EHS sophomore, was able to join us in the presentation. 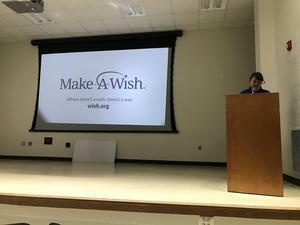 Tanner was granted a wish earlier this year. Congratulations EHS!